Iron Man Blocking Free Comic Book Day? Iron Man the Triathlon, not the movie! Confused me also when I heard it. Anyhoo... Just in case, I want everyone to know that the corner of Bluff and Diagonal will be partially closed tomorrow during peak Free Comic Book Day hours. Plan on an alternate route! Here is my planned route to Comic Plus. If you know someone who is planning on attending please let them know so they don't get stuck in a traffic jam that lasts 5 hours! It could ruin your day, cause road rage and you'll end up in the slammer with D'argo here on the Cover for Farscape: D'argo's Quest #4. Drive safe and see you tomorrow! UPDATE: Dave let me know through Facebook that the intersection of Bluff and Sunset will not be closed so you should still be able to go the normal way however they are closing parts of Bluff north of the intersection. Traffic will be heavier than usual. So just beware and eat an extra dose of patience for breakfast and or lunch. Hey Guys here are some pencils from Warlord #13. I wanted to post something to the site and plug the issue. It is out in stores now, so go buy it! I think it is the best looking Warlord I've done yet. 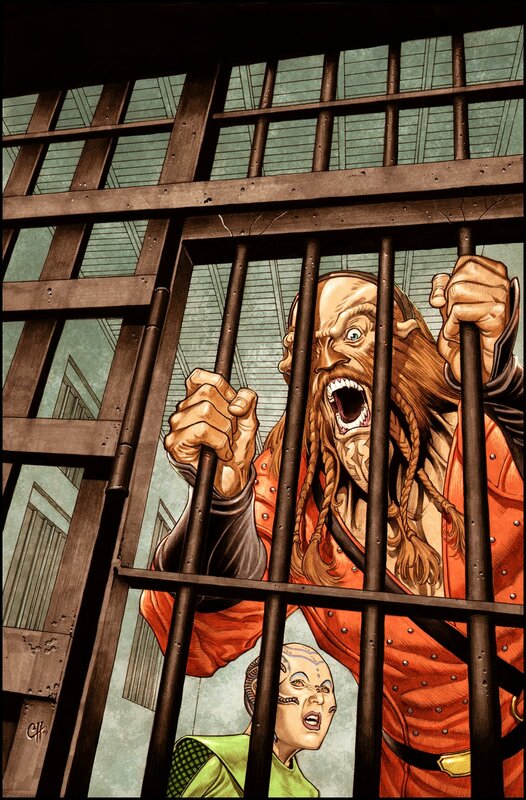 If you liked the Art in #10 you'll love the art in this issue. 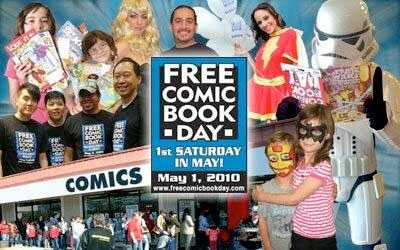 Also a reminder that I will be at Comics Plus this Saturday for Free Comic Book Day. I will have original art, sketchbooks, sketch cards, and issues of comics I've done. I'm going to be there for the long haul. I will also be doing commissions so bring yer money and help pay for my kid's operations (I hope I'm joking about the last bit). Also Will Estepp and Gerson Arevato if you guys are there you can pick up your cards! We had a great time last year. I hope we have a great time this year. Dave's Info is in the sidebar. If you haven't been to Comic's Plus in St. George Utah come check it out! How many kids are sick in my house? All of them. My youngest two with strep throat, my older two with a virus. Joy has also fallen ill to the virus. I alone remain uninfected from the plagues of the apocalypse! Tasey seems to be a carrier for strep and the constant reinfection of her sister Erica may have to lead to a tonsillectomy. Anyhoodle, The panel in San Francisco went awesome! Thank you very much to Dan Cooney and AAU for having me out. It was awesome to meet Chris Staggs (my roommate at the Sir Francis Drake), Dan Brereton, Chris Marrinan, and Justin Greenwood. It was also nice to reacquaint myself with Rashan Ekedal and Marvel's Talent Editor C.B. Cebulski (we met at Comic Con San Diego in 2005). C.B. Cebulski actually remembered me form a talent review half a decade previous so beware Marvel hopefuls out there. The guy has a mind like a steel trap (and he lurks on art forums) so BEHAVE yourselves! I was so nervous at the panel I felt like throwing up, I hope I didn't sound too bad. AAU filmed this so when it goes up on the web everyone can judge for themselves. My friend Kenshi took these pictures of the event with his iPhone (Thank you Kenshi!). I hope to have some artwork up soon but I'm desperately behind due to illness in my family so please be patient. It is coming. I have more Warlord, Farscape, and Sketchcards coming soon.